Our unparalleled collection of roofing panels are manufactured using premium quality raw materials which are sourced from trusted vendors. These are availed at the industry leading prices to our clients. Our range is highly resistive to impact and temperature. Our range enhance the beauty of your roof and add extra look. 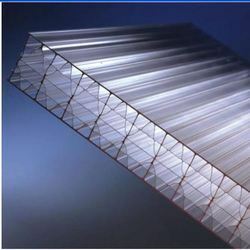 We offer Triple Wall Polycarbonate Sheet. We are offering Triple Wall Polycarbonate Sheets to our clients. 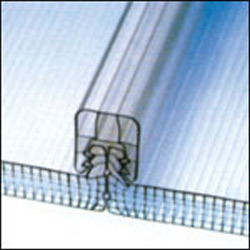 We offer Triple Wall Polycarbonate Sheet products in both standards as well as customized forms. Using premium quality polycarbonate materials these sheets are manufactured to make them suitable for using in homes, office, greenhouses and other area. Enriched by our vast industrial experience in this business, we are involved in offering an enormous quality range of Triplewall Polycarbonate Sheet. Polycarbonate Honeycomb Four wall Triple wall Structure Sheet, includes H-structure, Honeycomb and X-structure polycarbonate sheet, has the higher impact strength and the better heat insulation effect, widely used in constructions, can make UV protection on both sides, and can be simply installed.